PALLMANN has developed the Long Log Flaker, series PZU for the production of quality flakes / strands with a low percentage of fines, for the production of OSB-boards. 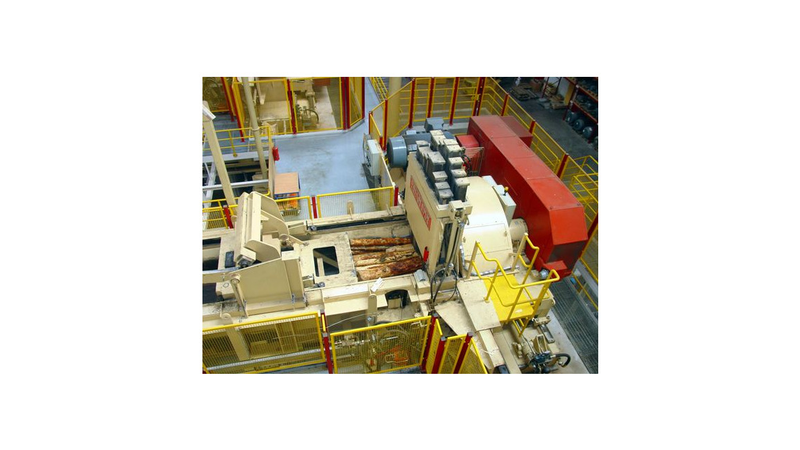 The wood is fed via two plate conveyors that are independently driven or by means of a patented, hydraulic batch feeder. Horizontally arranged inner clamps in the cutting chamber hold the logs in position during the flaking process. The scorers in the knife holders determine the flake length. Knife protrusion and the uniform carriage advancement during the flaking cycle determine flake thickness. The calibrated gap behind each flaker knife guarantees that no flakes, which are too wide are discharged. The strands are discharged straight down. Transport is performed mechanically with the assistance of an aspiration system.